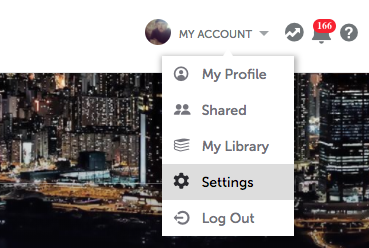 To edit your Account Settings, select the user menu in the top right corner by hovering your cursor over your name and image. A drop down menu will appear. Click Settings to view your Account Settings. Here you can adjust your general settings such as username, email, email notification options, and social account links. 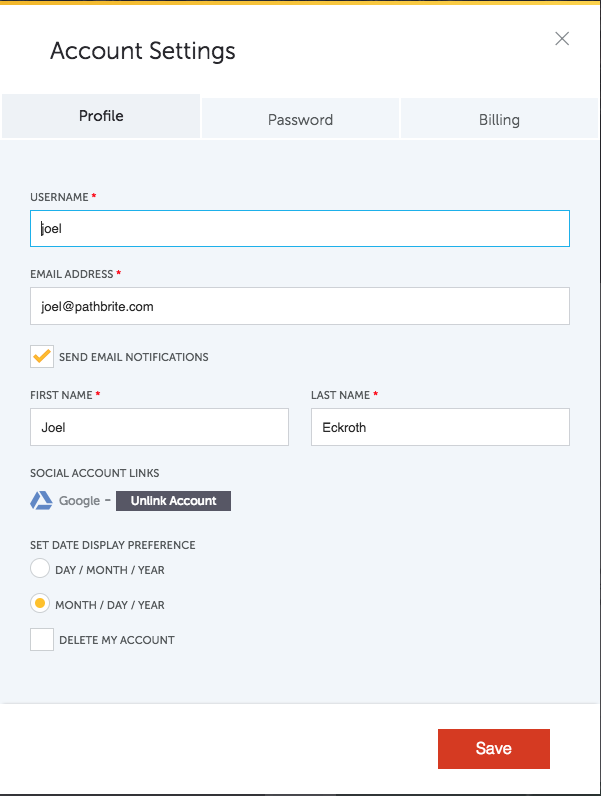 Choose whether you want to receive any email notifications from Pathbrite. These include information about shared portfolios, comments made, annotations received from instructors, etc. If you’d prefer to see all dates in the international format of MM/DD/YYYY, make your selection here. Select the second tab to change your password. Enter your current password and then enter your new password and retype it to confirm it. If you’ve forgotten your password, you can select the “Forgot Password” link here to set a new password. 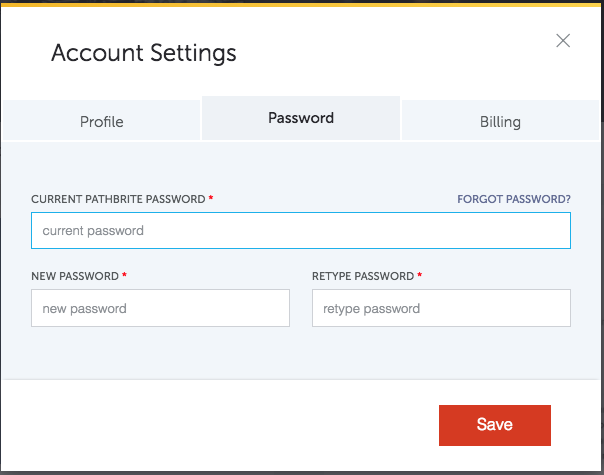 This may be useful for users coming in through a Learning Management System (Blackboard, Canvas, Moodle, Mindtap, Learning Objects) as this flow doesn’t initially require setting a Pathbrite password. The third tab is where you may view a record of your credit card charges. *Billing information will only be presented if you have signed up for a course that requires credit card (not common). Auto-renew is setup by default. Be sure to indicate you do not want to auto-renew if your course won’t last longer than a calendar year.